Addis Abeba, October 09 /2017 – On October 8, 2017, Abbadula Gammada, Speaker of the House of Representatives, announced in an unusual Sunday evening appearance on the national TV that he has tendered his resignation to his organization, the Oromo People’s Democratic Organization, and to the lower chamber of Ethiopia’s parliament. His announcement confirmed earlier reports by this magazine. In a brief statement, Abbadula stated that he “will continue to serve in parliament as an elected representative out of respect for the people that elected him and the party that fielded him to run for election.” He did not give specific reasons but alluded that he reached this conclusion because ‘there are reasons in the current state of affairs that have made it impossible to continue” and that he does not have “the desire to remain in his current role.” He promised to explain the details of his resignation soon after the parliament and his organization accept his resignation. His resignation marks a turning point in a controversial but distinguished career which culminated in high ranking military and civilian offices in the Ethiopia. As a commanding general in the Ethiopian National Defense Force (ENDF), he has served as chief of operations, chief of intelligence, commander of the ground force with the rank of major general and eventually as minister of national defense. In 2005, he began a civilian political career as President of the Oromia Region and Chairman of the Oromo People’s Democratic Organization (OPDO). In 2011, he became Speaker of the House of People’s Representatives. This resignation is a political act that has immediate and strategic political implications for Oromia and Ethiopia. No politician has ever resigned from high office in protest and remained within the country in Ethiopia’s recent political history (with the exception of Dr. Negasso Gidada who gave up his party post and membership). While we wait for the details of his reasons for resignation, we can draw preliminary conclusions from his television appearance. 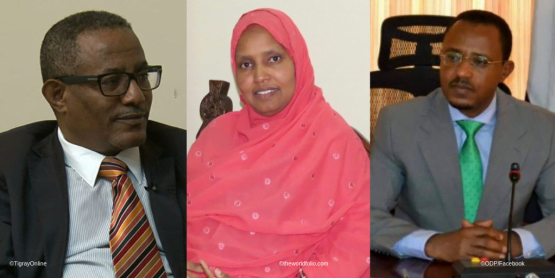 By resigning the speakership and moving to serving as a backbencher, he has signaled his intention to join the side of the Oromo people in their struggle for justice, freedom and human rights. At the same time, he is sending fair warning to the real powers-that-be that violence has not and will not work to suppress the unrest in the country. By remaining in the system, he is gesticulating that there is still time for peaceful resolution of the political problems besetting the country and for a negotiated transition to a constitutional-democratic order. On the other hand, the resignation warns deepening crisis if the regime turns deaf ears to his plea. Abbadula is an eyewitness to the consequential decisions the leaders of the Ethiopian People’s Revolutionary Democratic Front (EPRDF) leaders have made at the highest level of power. If he is no longer able to endorse their decisions in good conscience, it is safe to conclude that the incumbent regime has entered the last stage of political decomposition. The malaise is not irreversible. But time is running out. It is too early to write the political biography of Abbadula Gammada. We do not think we have heard the last of the man to write his political obituary, either. However, the broad outlines of his political journey are clear. The first is personal transformation. 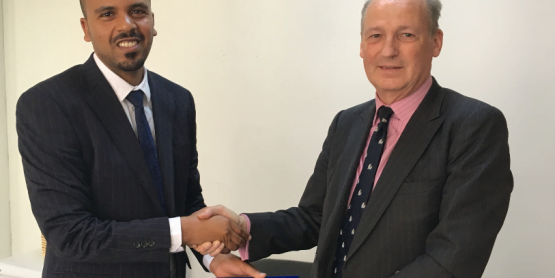 Abbadula’s career exhibits a profound personal transformation from a loyal military man who never questioned authority to a father figure in Oromia who now champions the right of Oromo citizens to question authority. There is no doubt that his career is filled with mishaps, misjudgments, miscalculations and misdeeds. Earlier in his career, Abbadula was viewed as an ardent opponent (even an enemy) of Oromo nationalism led by the Oromo Liberation Front (OLF) and a stanch loyalist of the Tigray People’s Liberation Front (TPLF) agenda. When he resigned as speaker, he was arguably one of the few influential politicians in Ethiopia. The second is institutional transformation. Abbadula carved out for his party within the realm of Oromo nationalism. In hindsight, we can now see that he pursued a strategy of “working within the system” to advance the goals of Oromo nationalism and worked assiduously to make the most out of it. 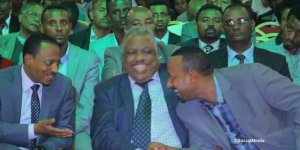 As such, he can be described as the father of the OPDO-led reformist nationalism that has now ushered in a new chapter within OPDO. His variant of Oromo nationalism was one that fused Oromo nationalism with Ethiopian patriotism. This project is work-in-progress. It is nonetheless it is safe to say that Abbadula was the man who institutionalized Oromo nationalism. The third is the potential for political transformation. Despite his forceful public persona (that earned him the nickname “bulldozer”) which exuded an image of an unscrupulous politician, the man seems to have always worked towards a strategic goal. He leaves public office at a very difficult time for the Oromo nation. But he is not leaving behind a hallowed out OPDO. It falls to his political scions who are now firmly in place in the party and state systems to carry on his vision and program of change from within. 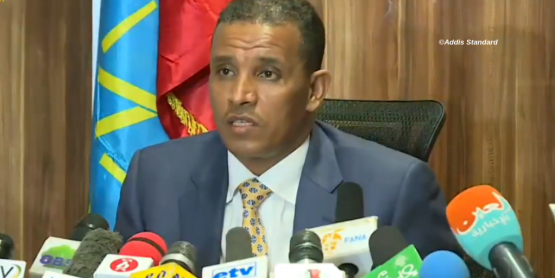 His resignation is would perhaps make him freer to continue to promote Oromo interests as a private citizen and a member of the OPDO Central Committee. At the same time, he has made it difficult for those who remain in office to justify clinging to power any more. In office as president, Abbadula made it his first act business to meet face-to-face young Oromo university students to challenge them to join his party. He invited them to struggle for Oromo cause from within the system. He appealed to the students insisting that his party was poised to implement the same program of Oromo nationalism that the “other” group (OLF) had developed. Because he listened and let the students criticize, even condemn, him, many were surprised by his dovish demeanor. Many took him up on his promise and joined the party. The seed he planted then has begun to bear fruit. He applied the same approach to other sectors of Oromo society. He met farmers in their field and listened to them. But knowing that he needed a structure to deliver services, he built the Oromia Regional State Government structure into functioning civil service manned by capable 70,000 civil servants. 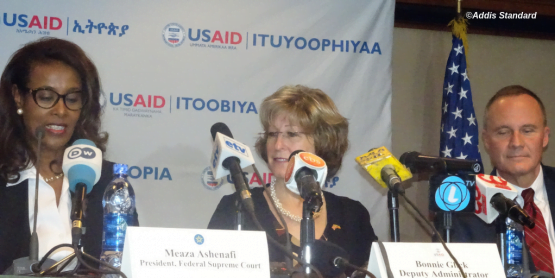 To sustain the delivery of services, he provided a strong and hands-on leadership to turn around Oromia’s economy. He implemented a program of infrastructure construction, expansion of educational institutions (especially higher education facilities) and some private sector investments. 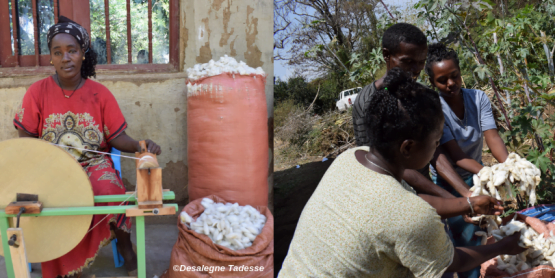 As a result, Oromia was able to make measurable progress in several sectors of the economy. Aware that he needed a platform for continuous dialogue with the Oromo people, he created the Oromiya TV station to end the landlord-tenant relationship with ETV for airtime for Afaan Oromoo programing. Starting off with a one-hour broadcast it has now grown to a 24-hour programing, staffed by professional journalists. 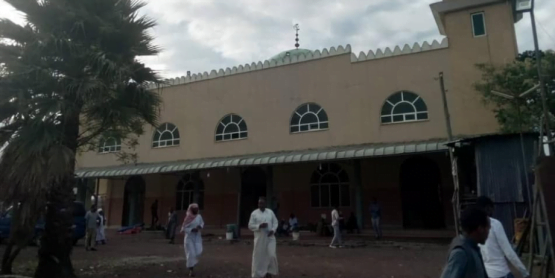 In recent days, the TV station has evolved to a safe space where the Oromo public could make its voice heard. 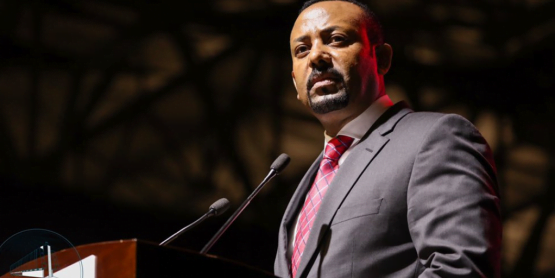 In a strategic move that spurred far-reaching political consequences, in 2009, he demanded that the federal parliament pass a law defining the “special interest” provision of the Ethiopian government. When the effort hit a brick wall, he helped create the Oromia special administrative zone and erected de facto boundary with Finfinnee. 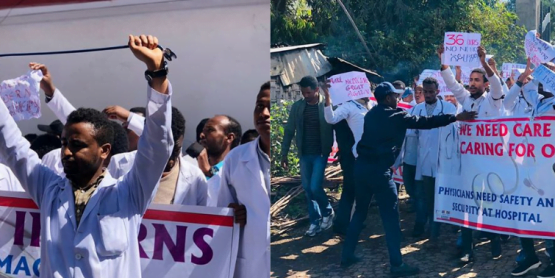 Without this act, Addis Abeba would have expanded into Oromia interminably and imperceptibly and “investors” would have continued to remove Oromo farmers from their lands with impunity. 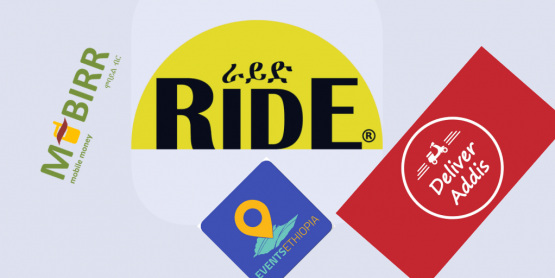 The special zone proved to be an effective barrier that stopped Addis Abeba’s expansion. As a former military man, he was quick to take serendipitous opportunities to advance his strategic agenda. He took the opportunity provided by the EPRDF’s program of leadership transition (metekakat) and shifted decision-making to a younger generation of party members who subscribed to his philosophy of “change from within.” Today’s generation of OPDO leaders who have caught the attention of the Oromo public are products of his program of technocratization of the party and state systems. After a brief hiatus in a political limbo, Abbadula was promoted in 2011 (“fired up,” as some say) to become Speaker of the House of People’s Representatives. This position was meant to disconnect him from his power base in Oromia and trip him up politically on a national stage. Even though the position of speaker didn’t have executive powers, Abbadula managed to use his elevated office to display statesmanship and his influence to work for change from within the system. As speaker, Abbadula served with dignity and political agility. For instance, when Meles died in 2012, Abbadula acted with the kind of dignity appropriate to a statesman, paying tribute to the deceased leader but discreetly avoiding the humiliating act of wailing in public, as did nearly all federal officials. This earned him grudging respect from his opponents and nationally. There are also several defining moments during Abbadula’s stint as speaker. When the Oromo people staged the historic protest in 2014, he was the first official in the government to publicly state that the protests were legitimate, the methods were peaceful and the demands were constitutional. When the protests erupted in November 2015, he became the lone high-ranking government official to reaffirm his belief in the legitimacy of the protests, the demands of the protestors and the methods used in the protests. He also went a step further and condemned the violent response as counterproductive politically and economically. Once he identified himself with the Oromo side, he showed rare courage to defend the Oromo people’s demands and their right to present their demands to the government. In one defining moment, appearing on the Mimi Sebhatu show on Zami FM, to face a barrage of disrespectful questions from a panel of “journalists,” he berated the host and her associates for disrespecting the Oromo people and demanded that they respect for the Oromo struggle and the OPDO as an honorable party representing the Oromo people. Once he realized the force that the protest had unleashed was enduring and sustainable, he paid homage to the strength and determination of the Oromo people, presented an impassioned defense of the Oromo people’s right to protest undemocratic rule. He took responsibility on behalf of the OPDO for failing to advance the Oromo cause. And admonished the assembled OPDO members to recognize the reality of the Oromo protests as a genuine expression of Oromo grievances, renew their own commitments to the Oromo cause, and reposition the party to respond effectively to the rising tide of the popular demands or be washed away by the flood of resistance. It appears this was the turning point of the OPDO. The Ethiopian political space is going to miss the voice of reason and reflection that it so desperately needs at this particular juncture. 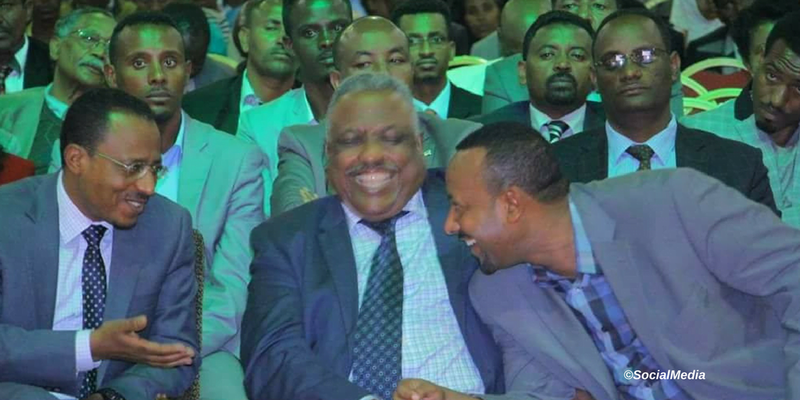 More than anything else, the Ethiopian People’s Revolutionary Democratic Front (EPRDF) will miss the only man of stature and credibility who knows the TPLF and who has grown to understand contemporary Oromo politics. 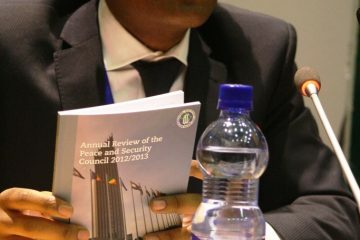 By precipitating his resignation, the TPLF has burned the one bridge they had left to the Oromo people. The story is from the Old Testament (Numbers Ch. 24-25) where Balak, the King of Moab, employs Balaam, a diviner from Mesopotamia, to curse the Israelites rather than bless them. Despite Balak’s pressure and Balaam’s desire to do otherwise, the latter consistently pronounces blessings on Israel and cursing on Israel’s enemies. In the end, Balak dismisses Balaam, sending him home without pay.